→ ​WHAT DO I GET INCLUDED? 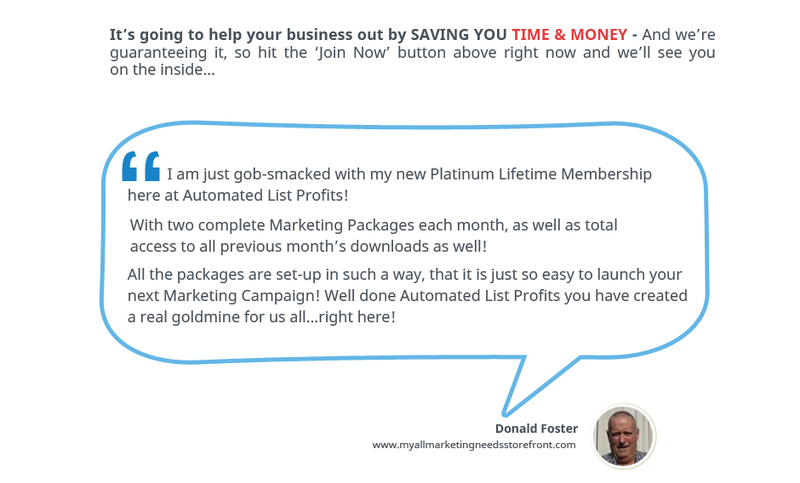 Every month you’ll get two new lead magnet kits that include all of the following: A 10-30 page exclusive (marketing / web business / social media related ) report, a ready made landing page and a professionally written 7 part autoresponder follow up series + Back Catalog Access With 170+ Ready To Go Packages. → WHAT CAN I DO WITH THE REPORTS? You can sell them or give them away (except for the raw doc formats… editable content PLR is exclusive to you) – So use them as incentives to build your list, to use a bonuses to boost your own product sales or to increase your sales & commissions on affiliate promotions..
→ CAN I SAY I WROTE THESE MYSELF? Yes! Through your membership you get full private label editorial rights so you can add yourself as the author, edit, add to, rename – whatever you need. → ARE THESE REPORTS ORIGINAL CONTENT? Yes, all packages are created by our own in-house team, and they aren’t available anywhere else online. Some ‘done for you’, copycat sites give their members rehashed or non-exclusive material – not at Automated List Profits, everything is 100% unique so you can be assured of great quality. → Two fully editable professionally written reports in word doc & ready to go PDF Version! → Ready to Upload lead sucking Squeeze Page with Professional Graphics! → 7 Copy/Paste Emails Follow up emails you can stick in your Autoresponder to send to your New Subscribers - promoting those to selling products! Rebrand the Ebooks and Sell it for $9 Each, Just imagine having 170+ Income Streams for your Business. We think this is without doubt the best solution on the market for busy marketers, and we think you’ll agree once you try it out. That’s why we’re backing this offer with a 100% money-back guarantee. You get a full 30 days to use your membership. That’s an entire month to see if this product is right for you. If you don’t agree with us that this is the best way to grow your list and boost your regular affiliate promotions and sales, then we’ll rush you a refund.